One kit includes six different components, which can meet your different needs. 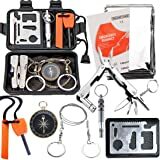 It's a must have for any outdoor enthusiasts, especially for camping, hiking, hunting biking climbing traveling and so on. a great gift for our friends who love outdoor enthusiasts. 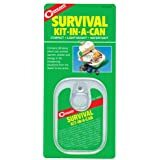 perfect for what your child needs for a starter survival kit. 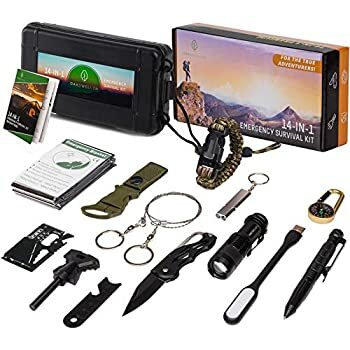 Take this kit or choose some you need to go out and enjoy outdoor adventure or challenge nature. You can also get an improved child survival skills at home, or at home and on the car to deal with emergencies. side of knife, slotted screw pliers, straightedge, opener, outer hexagonal wrench, wrench, double staggered sawtooth, direction recognizer, positioning wrenches, circular hole, multifunctional. 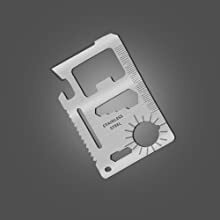 Pocket folding knife with LED Light,Including six daily home furnishing repair tools, a good helper. 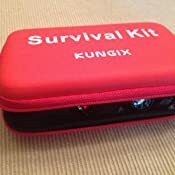 I purchased a few of these kits to put in Christmas presents. I am building emergency car kits for my nieces and daughter. 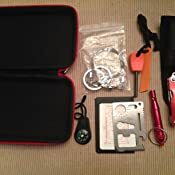 The carrying case is wonderfully sturdy, small enough to tuck in the car kit, and full of useful items not usually thought of. I will have to explain the saw. The credit card tool comes with a detailed instruction card. This is a big plus for these girls. The other tools are self explanatory. 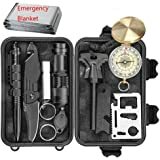 This Emergency Survival Kit would be a great accessory to any survival bag, 72 hour kit, back pack, or outdoors man's gear. This is a fun little kit! The case is a bit different than I expected, I had thought it would come in a pouch but it came in a structured case...I think this is much better for keeping everything inside organized! The case itself is just a bit smaller than my hand, so a nice, compact design. 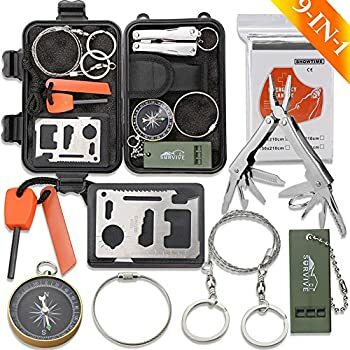 Inside is a pretty nice and sturdy multi tool in its own pouch, a flat steel card multi tool, a magnesium firestarter, a portable saw, a small compass, and an emergency whistle. 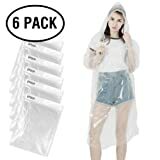 For the low price these are all good items to have in your bag or car just in case. 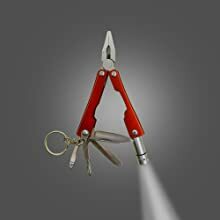 The tools themselves all seem to be made well and provide some security of the situation arises to use them. 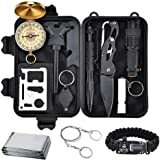 I plan to keep this kit in the console of my car...there are always times I need a pocket knife or a screwdriver and don't have them, so I can see this kit coming in handy. 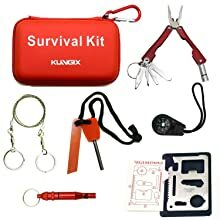 There is enough space in the kit so I will be supplementing it with a keychain led flashlight, an emergency blanket, and some cotton balls for tinder to use with the fire starter. Bought this as a gift for my Survivor-man boyfriend. The package came on-time with the two day shipping. He loved it and was so excited to try all the tools right away! All of the tools were nicely packaged within the box and were in excellent condition. 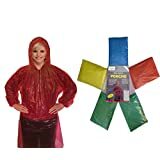 The box did not have the zipper like the picture but had snaps on three sides that kept it sealed and probably waterproof so I'm happy. 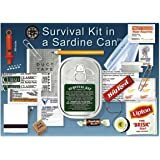 This was the most useful survival kit I could find online! I am very pleased with this purchase. The fire starter appears to work. My boyfriend was quick to try it out in our living room and was making sparks before I could blink (don't worry my living room made it out unscathed). 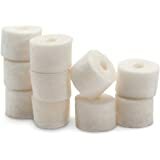 We are excited to try it out on our next camping trip! 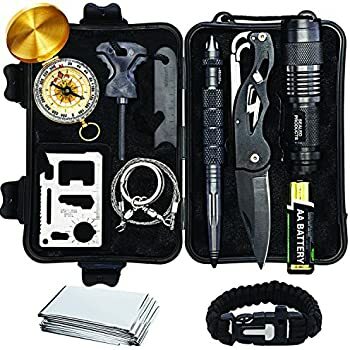 The knife was sharp, the flashlight worked, and the tools seem to be well made and of good quality. 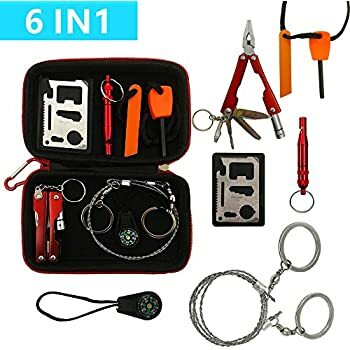 Great price for so many useful, awesome tools! I like how small and portable the box is. I think I might buy one for myself too. Great buy! 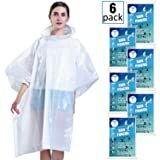 5.0 out of 5 starsBack to buy more! 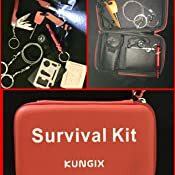 I purchased this survival kit as a gift for my husband who is an avid suburban survivalist. 😉 I was going to save it for Christmas, but I realized it would be a good Christmas present for his work crew. I showed it to him to see if he approved and he did. He as also surprised at how affordable it is, so I will be buying 4 more. My husband is keeping this one in his car. The foam case has a solid zipper. I love the multifunction tool. It has a flashlight on it! 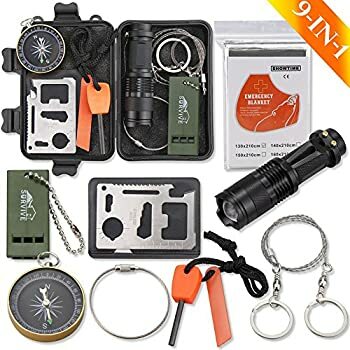 It has a fire starter, a loud whistle with a small waterproof compartment, tool card that is a lot more solid than my others, a compass and of course the wire saw. This could also be used as a snare or a garrote when you need to sneak up behind zombies. My brother received one of these for Christmas, and I decided to buy one myself after looking through his. Keep in mind this is far from a fully prepared survival kit, but it definitely has a nice starter kit. 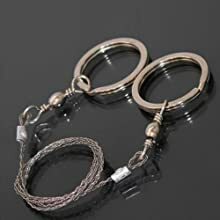 If you're like me, and just wanted something to put in your car for emergencies, or take along for casual camping trips, then it works well enough. If you're planning on using it extensively, though, I would recommend investing your money in something better. 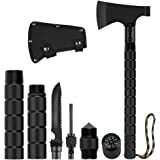 The striker works out great (I've already used it successfully twice, despite having no prior experience with strikers), the whistle is very loud, and the saw is durable as well. The light on the letterman came with batteries already. The compass isn't very reliable, however, and the wallet tool is a bit difficult to use. TL;DR: Great as a casual backup or starter kit, not for extensive use. It's perfect for what it is. You can probably build a similar kit for less, but here it is all handy and ready to go. Plus the waterproof case is great! We got it for our boat. We like to island hop/explore, so you never know what you may encounter. 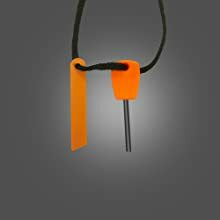 It even comes with a whistle, which is USCG standard for safety. Everything works. My husband loves it for what it is, and he is a well rounded handyman around the house. This is a really cool kit. I bought it for my brother for Christmas. He is an avid hiker so I wanted to get him a couple of things that would go into his hiking pack easily and would also be really handy to have along. He went through each item individually when he got it and said that he would definitely be carrying this with him when he hikes from now on. Everything inside seems to be well made. I am very happy with the purchase. 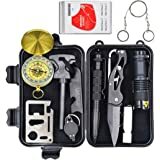 I love that it's light and compact and has the basic tools needed for outdoor survival. The pocket knife has it's own case and it even has an LED penlight. 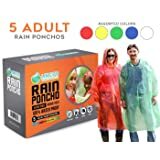 Materials are stainless so I don't have to worry about them getting wet. 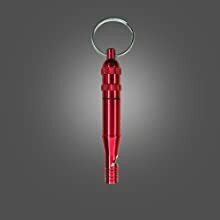 The multipurpose pocket survival tool has so many features and it comes with a guide and it's own case as well. 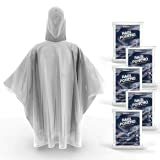 Overall, a well thought of kit that fits the budget.